The transitional duvet is of medium weight and is used for most people, depending on the filling and body type, for most of the year. Only in winter it is supplemented. It is the heavier of the two blankets in the 4 seasons combination and can be complemented appropriately well with the summer blanket, so you master the winter with the two. Very cold sensitive people better complement the duo duvet with the Super Warm combo. Here you can also find the new stone pine duvet, a merino virgin wool duvet combined with 55g/qm stone pine flakes for a nice scent and deep sleep. Our Merino sheep virgin wool comes from southern Germany and Austria and only from free-running sheep, which provides its good quality. The long pile of finely wavy back hair is used. 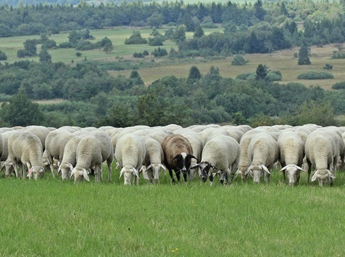 The wool is washed intensively, but otherwise remains untouched. The residual content of wool wax (lanolin) results in the hygienic self-cleaning effect. 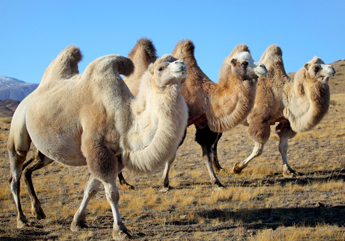 The camel hair originates from young camels living in the high plains of Asia. 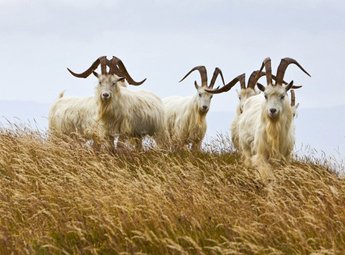 They possess an airy, multi layered coat which protects them from high temperature fluctuations. The hair is collected and sorted by fineness, then washed intensively, carefully dried and cleared from awns (the rough particles are removed). On request you can also get all camel hair duvets in washable, 30°C. However, the fibres are rougher and the original effect therefore reduced. The price is the same. 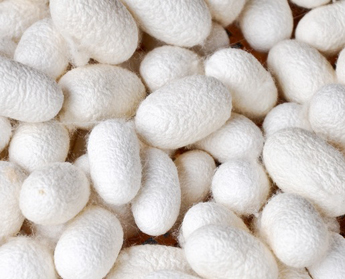 Cashmere is considered the lightest, finest and most valuable noble hair, white cashmere being the finest. It originates from different regions of Asia, originally from the region it got its name from in Cashmere, northern India. During the natural moulting the hair is collected, but additionally also collected with a wooden comb and sorted. The hair is washed on a natural basis. After sorting and washing, only 100g useable material for making duvets remain out of a kilogram of cashmere wool, explaining the high pricing. The fine tussah silk is only collected after hatching (or so it is said). Afterwards, it is degummed and cleaned during multiple wash cycles. Due to its smooth, long-fibred structure, silk has a very high warmth conductivity which is why it is particularly suited as a summer duvet and people with a lot of heat. This duvet consists (aside of the sewing threads and the label) a hundred percent out of organic cotton and is particularly skin friendly. Allergy sufferers don't have to fear the cotton, especially not in this quality. For the climate - the sleeping, room and world climate - a victory. Provide the cotton duvet a nice sunbath for hygienic reasons every now and then. This will spare you the washing which isn't good for the material. 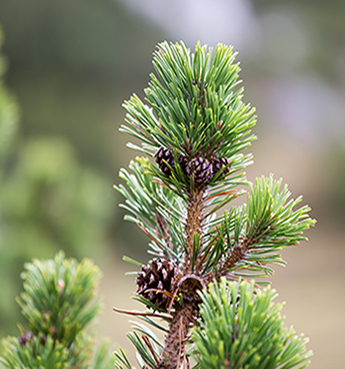 The wood of the stone pine (or swiss pine) smells nice and has a calming effect on our organism. With the addition of stone pine flakes we add a bit of the stone pine effect to our sleep. More information can be found in our glossary.